You guys - we are so very excited to be offering our second MAKERS Workshop & Creative Social. Our last workshop was awesome - we had so much fun hanging out with some really wonderful women over treats and crafts. In fact, we had so much fun that we couldn't wait to get planning the next workshop. So here we are! We strongly believe that everyone has a creative bone in their body and sometimes it just needs to be stretched. There are so many benefits to pushing ourselves to be creative - it's therapeutic, joy-inducing, and can encourage community amongst other creators. We love being able to encourage those things by intentionally bringing you all together in one place to work on a project while socializing and learning. So consider this your official invitation! It's important to us that you have lots of time to just socialize and relax, so our projects are easy to create. We'll start by giving you a quick little lesson on how to tackle the project, but then will allow you the opportunity to just create alongside other makers. 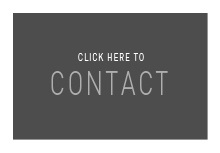 We'll be around to answer any questions you may have throughout the process, though. In this workshop, we will be creating button earrings. What are those, you may ask? 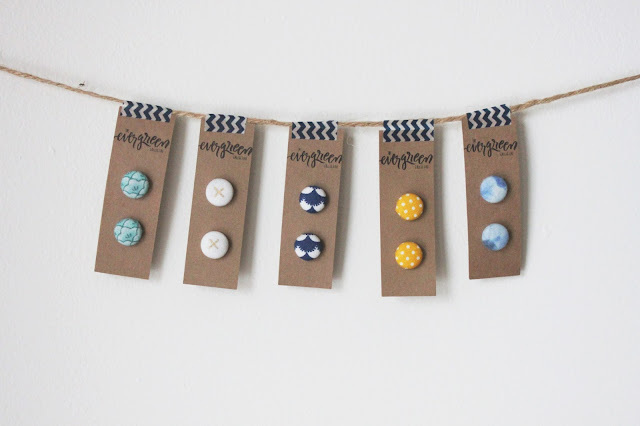 Exactly what they sound like - cute little button earrings covered in the fabric of your choice. These little earrings are some of our best-sellers at craft shows because they can be so cute and customizable so we know that you will love making some. Check out some of the photos in this post for more details. The earlybird cost of the workshop is $25, tax included ($30 after June 17, 2017). 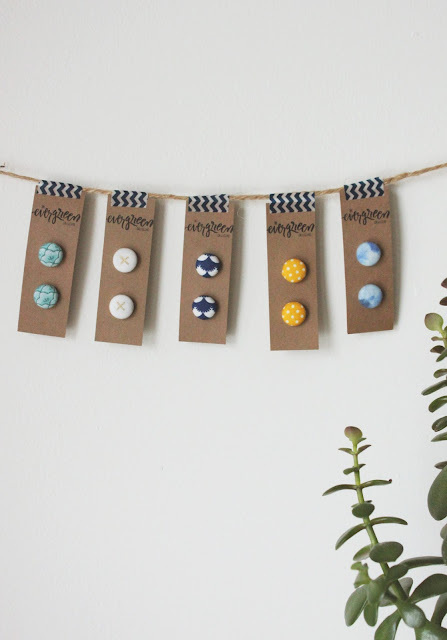 This includes all the required materials and supplies to create three (3) pairs of button earrings, all required instruction, a beautiful place to create, and the most delicious treats you can imagine. At the end of the afternoon you will leave with three pairs of earrings (perfect to share as a gift to a friend), new friends, and a very happy heart! The workshop is open to any individual who is interested in learning a new skill and building new relationships. Any skill level is welcome to attend - whether you're a seasoned pro or someone who doesn't consider themselves to possess a single creative bone in their body. Regardless of your experience, we are happy to have you join us! There are only 15 spots available, so reserve your spot today! Your spot will be reserved once we receive the full payment. Please contact us by email (theevergreencollective@gmail.com) or through Facebook Message (www.facebook.com/theevergreencollective) and we will be happy to arrange payment through either cash, cheque, e-transfer, or PayPal. As always, please contact us if you have any further questions. We're really looking forward to this evening and we hope that you are too. Start warming up those creative muscles!